At Euroclad Windows and Doors, we build beautiful products that we hope will look great forever, but we know there are times when a window scratch may not be avoidable. 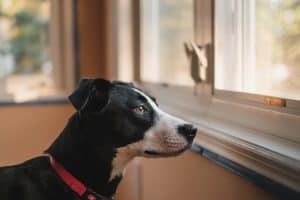 If you have a tree branch brushing against the window, or a dog that enjoys your company so much it keeps jumping up on the window sill to see if you’re home, you may develop a scratch or two in your windows. Depending on the type of scratch you have, it may be something you can repair. As with most things, usually the best way to deal with scratches is to do your best to avoid getting them with a little bit of prevention. No matter what situation you’re in, here are the best ways to avoid and repair scratches. The best way to prevent scratches is to make sure you’re buying a durable window that can handle the elements. Just like smartphone glass is getting tougher and tougher, so is the technology behind windows. Whomever you choose to manufacture your windows, you’ll want to make sure they’re using the latest tech. Unfortunately, there’s not a lot you can do to prevent scratches other than to remove the offending tree branches or retrain the dog. There are products on the market that you can put on a window to help prevent scratching, but they all change the visibility of the window. In almost all cases, they’re really not worth the effort. If your scratch is big enough that your fingernail catches on it, it’s probably too big to be repaired by DIY products. If it’s relatively tiny, you may be able to use a glass polish or a gentle abrasive like baking soda or toothpaste to polish the glass. DIY polish won’t be strong enough to help with big scratches, because anything that will help with a big scratch is likely to damage with window. With any polish, you’ll want to be careful that it’s not going to scratch the window further. 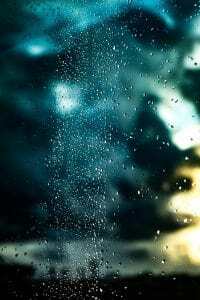 For larger scratches, simply cleaning the window, and the scratch specifically, will do wonders at making it less visible. Usually when microscopic dirt gets into the scratch is when the scratch becomes most notable. With automobiles, you can usually give the appearance of fewer scratches by waxing your car. The wax fills in the small scratches so light doesn’t catch on the scratch as easily. With windows there’s no equivalent wax, but having the window be transparent from the start sure helps. Not all windows are created equal, and you need to know is whether the scratch in the glass itself, or if it is part of a window tinting or low-E window coating. If you have low-E coating, or window tint, you may not have many options. Low-E window coating is a very thin coating of reflective material placed on the window to reduce heat transfer. Depending on your climate and the manufacturer, the coating can be on the outside window, inside window, or in between panes of glass with a gas. It’s important to know what type you have before attempting any repair. You don’t want to scratch off any low-E coating. With any repair, you may want to talk to professional to see if any repair is possible, or if it’s even worth the cost. Sometimes living with a small blemish is the best option.